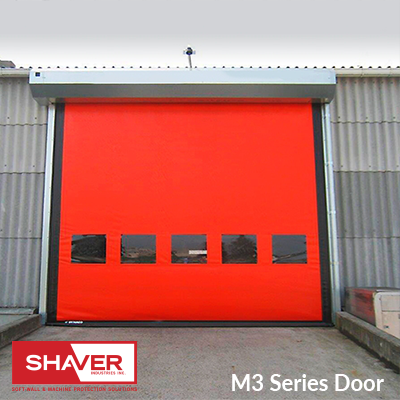 Designed for outdoor applications experiencing high winds and extreme weather. 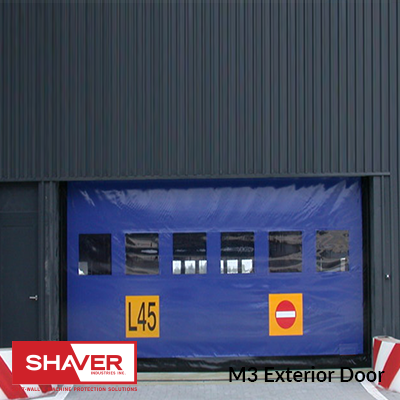 Shaver Industries offers doors larger than 18 ft. which are crash forgiving and automatically re-insert. 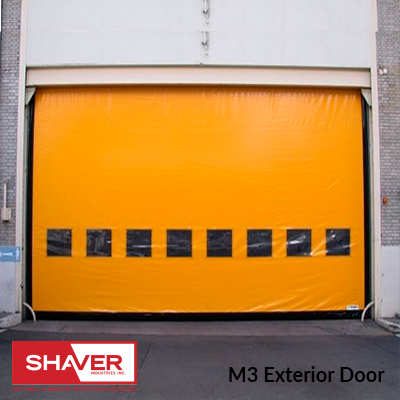 These doors are made from a heavy duty fabric and roll-up in seconds. 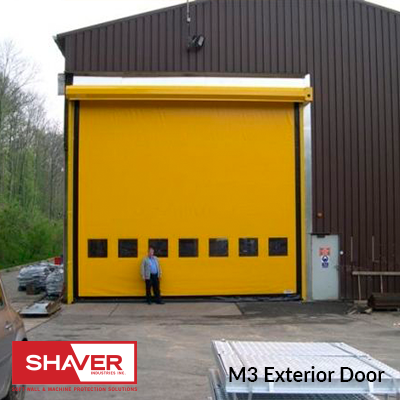 Our doors can be made to 39 ft. by 18 ft.